Risto Leisti is Director of Service Management and Development in Caverion Industrial Solutions Division since 1st of January 2017. In this function his key tasks are strategic planning and development of maintenance models and concepts in process industry. 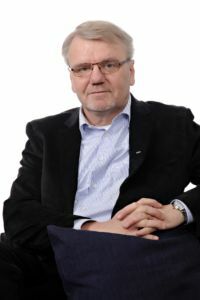 Prior to his current position he worked as Managing Director of Botnia Mill Services for 10 years and received in 2016 the Finnish Quality Award for the Company. Quality management and continuous improvement have been a key part of management and development in his long career in process industry maintenance and projects. Until 2005, he worked at Stora Enso at different mills responsible for the management and development of mill services and maintenance and the management of investment projects. Caverion’s IoTFlex service concept takes industrial productivity and preventive maintenance to the next level. IoTFlex uses smart sensors to measure the actual condition of machines and employs real-time analytics to predict the occurrence of possible faults.